We study human grasping under a variety of conditions in order to identify and characterize different grasping strategies. Specially, we are interested in strategies that are robust to be performed under different kinds of impairment, e.g. visual. Our final goal, is to transfer those robust strategies to a robot. 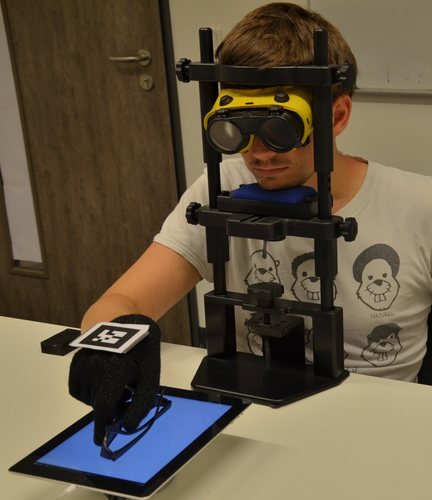 In addition to subjects' grasping with their natural hands, we also observe them when they use soft robotic hands such as RBO Hand 2 and Pisa/IIT Hand. 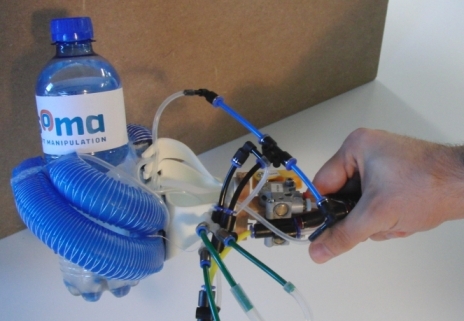 Our goal is to leverage their intuition in grasping to understand how robotic hands can be controlled and evaluate the transfer of their strategies to robotic hands.